Fans of Nancy Drew have a new film to look forward to. Nancy Drew and the Hidden Staircase will be released in theaters on March 15, 2019, by Warner Bros. Co-produced by Ellen DeGeneres, the film stars Sophia Lillis in the titular role. I’m not a huge fan of Nancy Drew, but I still like her as a character. With Nancy Drew and the Hidden Staircase featuring the iconic mystery-solving teenager in a modern setting, it will be interesting to see how many people will gravitate toward it. Here’s the trailer! Lillis looks like a younger version of actresses Amy Adams and Linda Cardellini. Nancy Drew made her first appearance back in 1930 and since then has continued to be a well-known fictional character. Her legacy includes books, comic books, TV series, films, and games. 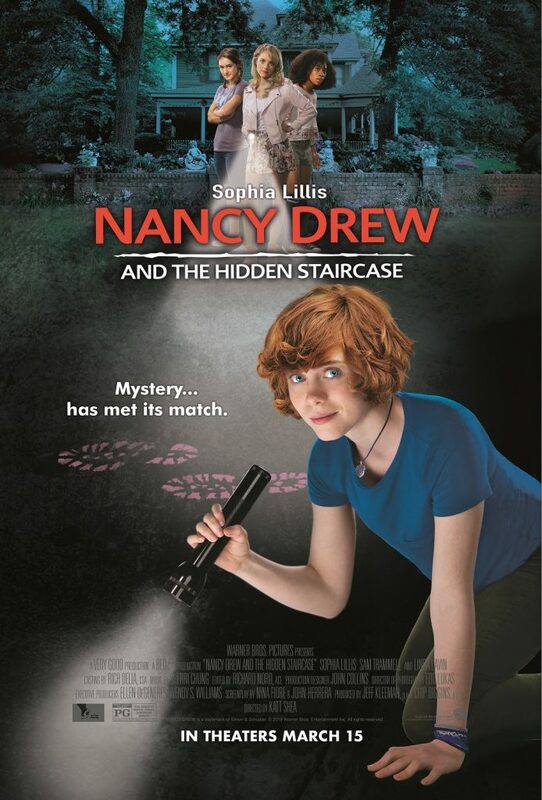 Are you excited to watch Nancy Drew and the Hidden Staircase on March 15, 2019? Next: Justice League vs. The Fatal Five Gets Digital, 4K Ultra HD, and Blu-ray Release Dates!